We are the prominent Market Research Services provider which includes feasibility studies to enter the new market, launch new products , conduct customer behavior study etc. Our market design services and market development services help to design a clear plan for the new entrants in the market / Industry to launch a new product or service or enhance and reposition the existing product/ services in the market. 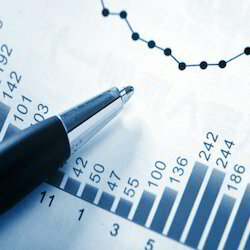 We conduct extensive study to assist our customers and validate their plan and to get the best return on investment. Most of the call centers carry out their works through inbound customer care service, outbound process, and back-end services. Market Research Services is a part of an outbound process of the call centers where marketing specialists get the feedback from their existing clients and analyze the trend of the market proliferation. The attitude of the consumers, their interest in the products or services as well as the factors to increase the sales and minimize the risk is properly analyzed. It facilitates an In-depth understanding of the Sector, Product, Market and the competitors. It helps our clients make informed decisions before entering the market. It provides details of the technology required and also trend analysis in relevant sectors. We are sector agnostic and can provide relevant reports for all sectors. Looking for Market Research Services ?